in late december of 2018, my first son’s upcoming arrival spurred a collection of new work which included a new color palette & subjects. 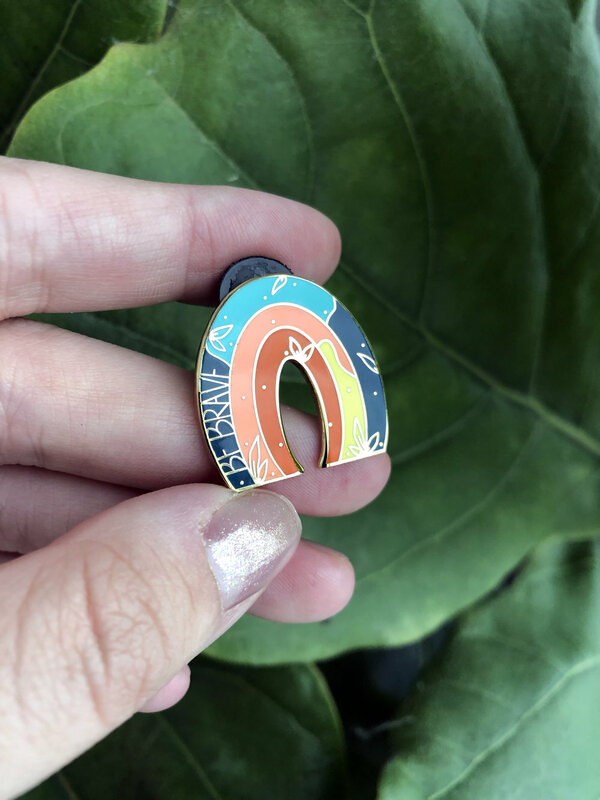 this ‘be brave’ rainbow is one of those pieces. the bright, happy colors are just in time for spring and summer while encouraging the constant bravery needed to take on this world. share this pin with someone you love or gift it to yourself as a little reminder that you can do it.